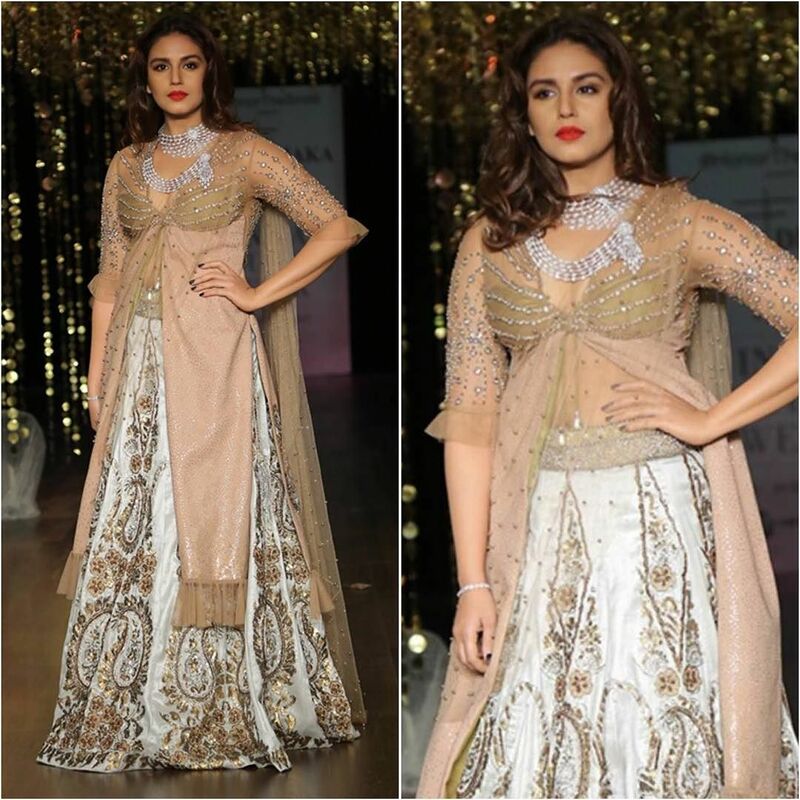 Take a look on any bridal event, north or south doesn’t matter, there is one outfit which women seem to have completely smitten by. 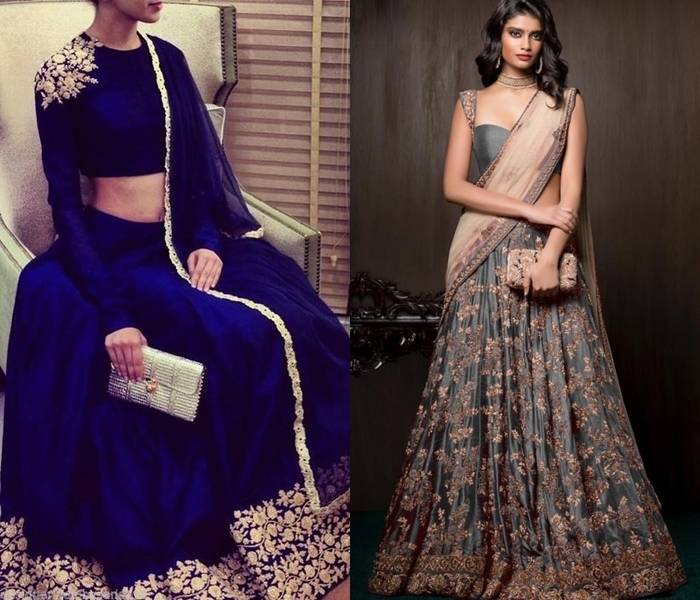 Lehenga, the most gorgeous piece of ethnic clothing has been in the A-list of items lately. 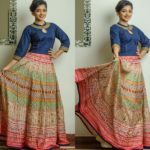 Teen girls and young women are willing to replace sarees and anrakalis with dreamy lehengas for the enticing look it offers. This is even transcended to fashionistas living down south. Now the challenge comes in the form of picking right accessories to this most coveted ethnic dress. Obviously those who love these breathtaking skirts know very well that without an chic and apt accessories, the grandness would be gone down the drain. 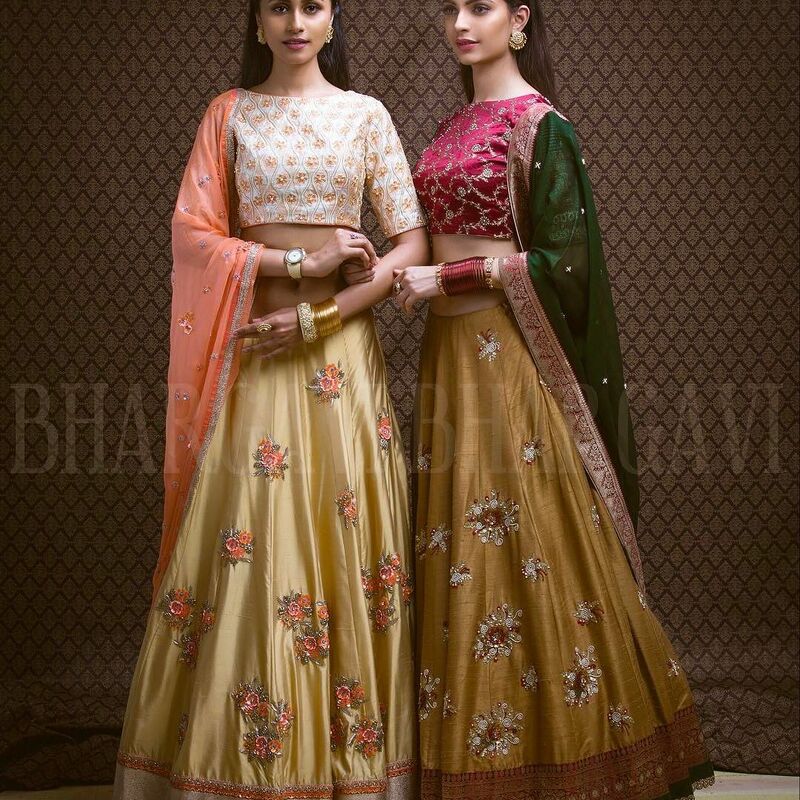 If you are one in that surging crowd who is planning to flaunt Lehenga in your upcoming special day, but don’t know what accessories to wear so you can nail the look, then we have got your needs covered. Scroll down to check all the possible accessories that go well with simple to elaborate bridal lehengas. Knowing the options will help you to choose the best among everything. 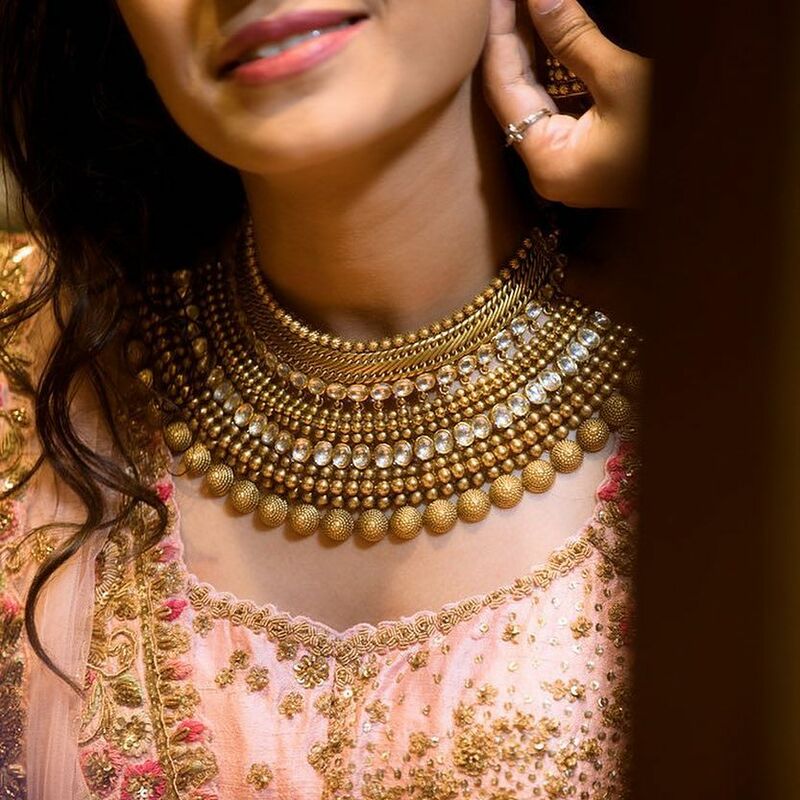 What Jewellery to Wear With Lehenga? Jewellery is the single most thing you need to care first if you want your lehenga style to stand out and make an impact. They are like the majestic crown for a queen. For your ensemble to be memorable, you must know what can cut a deal with your outfit and elevate its style further. Now, let’s see the jewellery ideas for lehenga. As you all know, this is one piece of jewellery, that is sure to have its presence in any outfit. While you wear lehenga, make sure earrings does its part best. If you like to stay in trend, then a huge statement chandbali is the first choice you should be looking at. Bold chandbalis are this season’s hot catch. 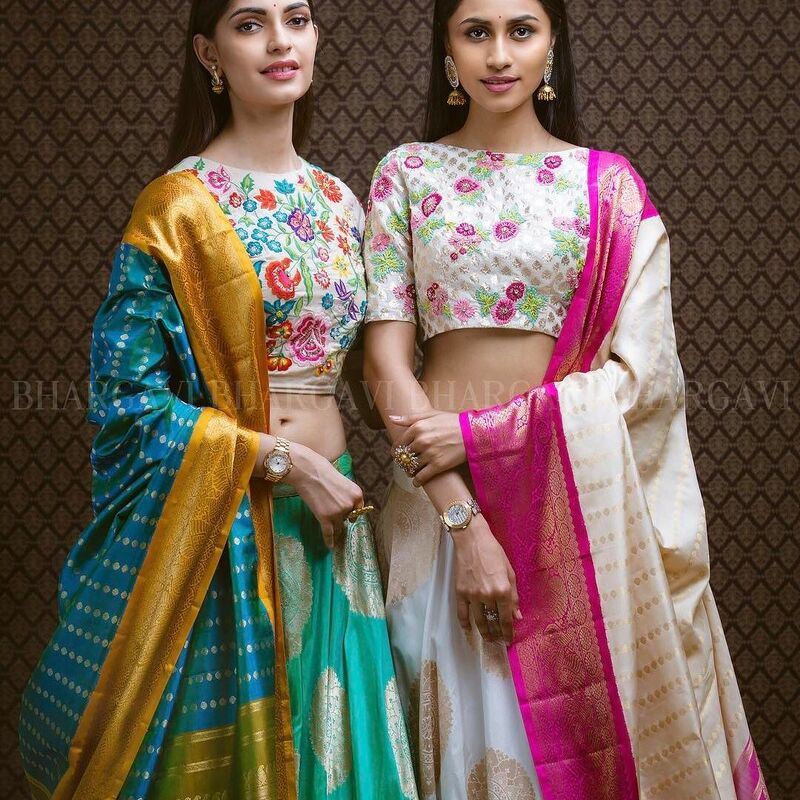 They go exceptionally well with any lehenga style. If you are not a fan of chandbali, any big catchy earring would do the magic for you. 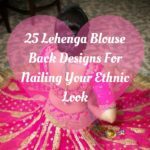 If your lehenga blouse is filled with enchanting work, you need to get your earrings right for the focus to remain on your face and upper part of the body. If you like to go traditional, another good option is age old jhumkas! If you don’t mind throwing out a bit of experimentation, then a bold ear cuff can be your best bet. These ear cuffs give a royal finish to your ensemble. If you plan to try a ear cuff, our advice would be to go for it if you have a plain high neck blouse with your skirt. This will help to balance out the look. When your outfit is already crowded with too much work, wearing a heavy ear cuff would drown your style completely. Be sure you try this jewellery piece when your lehenga lean towards simple and easy-going style. When you deck up stone studded heavy work lehenga, obviously your hands should match the rhythm of work rendered on your outfit. 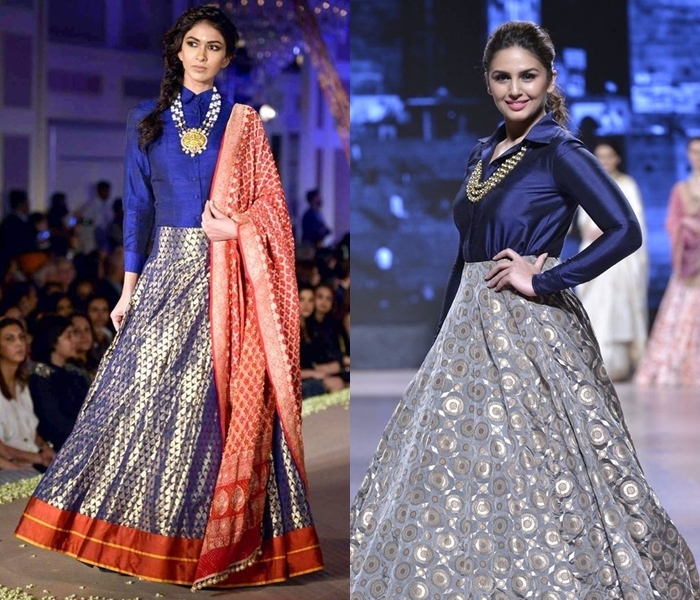 The most obvious choice is to deck up thick layers of bangles that match the shade of lehenga. This remains as the most tested out way to finish off a lehenga by brides and bridesmaid. However, if you like to keep simple lehenga style and really off from decking up heavy jewellery, then a simple diamond or CZ stone bangles could be a great savior for you. If you have opted for brocade or other silk lehengas, then bold antique bangles can make a good one to try. You can even opt for silver kada bangles for your designer lehengas considering the huge fame that is being directed towards antique silver pieces this season. 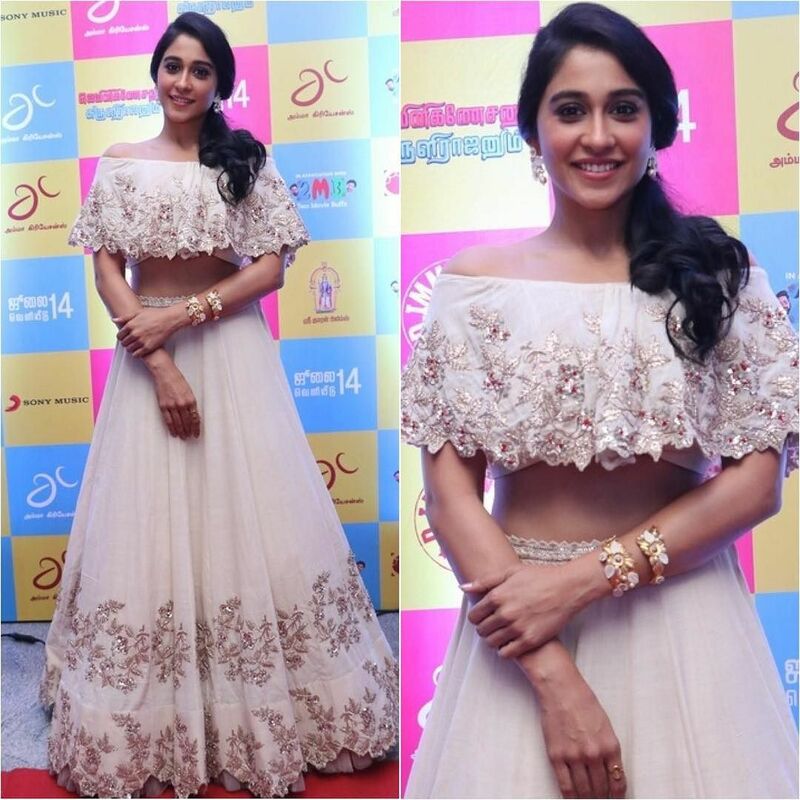 Wearing a choker bring all attraction towards your neck and lehenga blouse. If you want to draw the attention towards your bodice, then you should have good choker to strike your look. 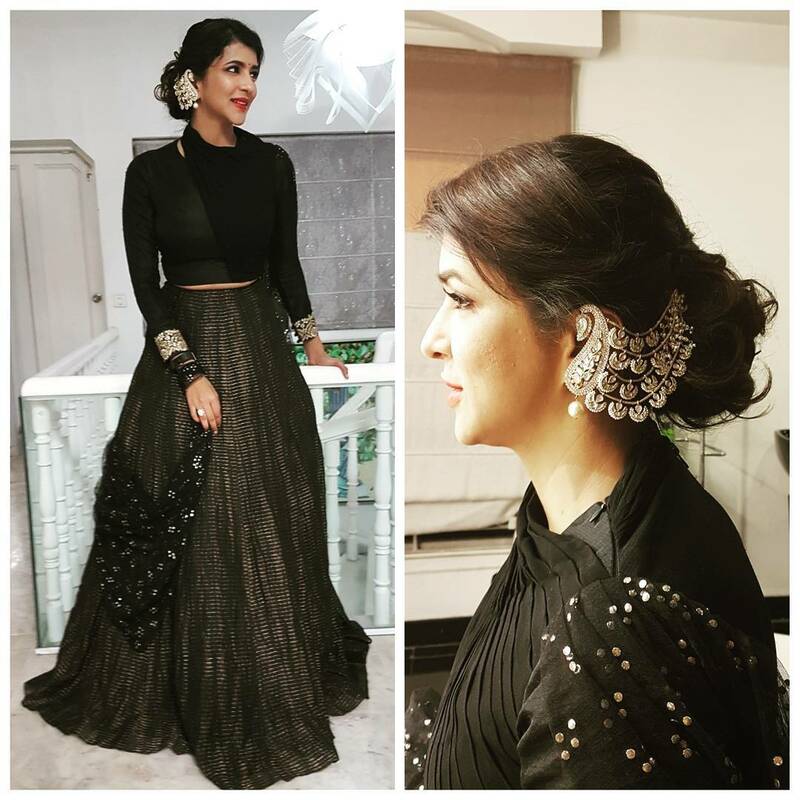 If your lehenga blouse has a flattering front neck, or your lehenga has plain blouse with heavily embellished skirt, then to hit a balance, you can wear a statement choker here. Kundan and antique chokers are trending this season. 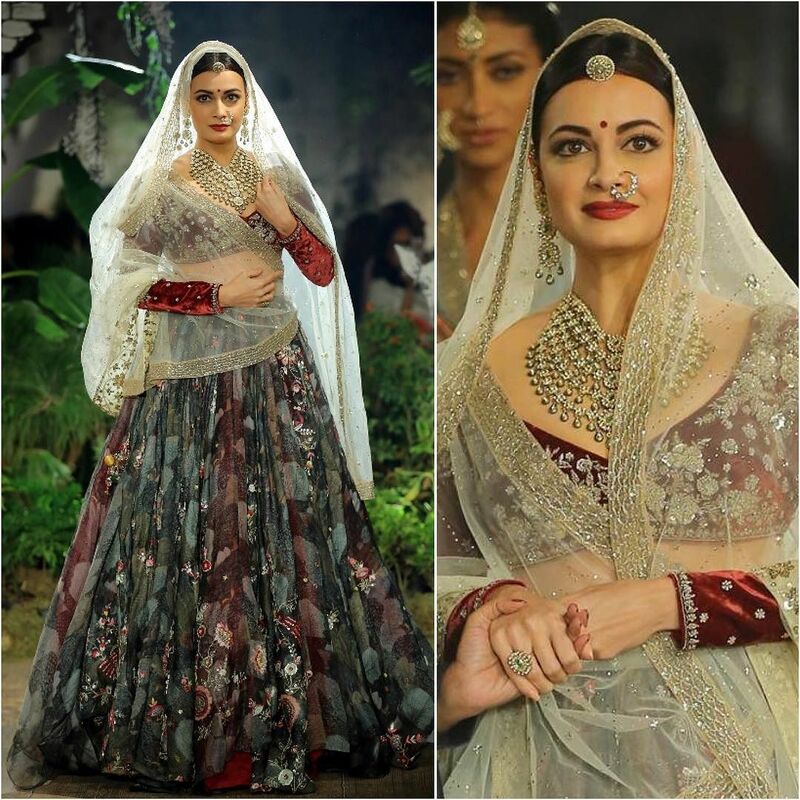 Depending on the intensity of your overall lehenga look, you can either opt a simple one or a bold layered one. Remember, when you choose a heavy choker to flaunt your look, go easy with rest of your jewellery. Don’t overload your look. 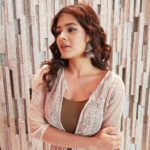 If you think the neck clinching choker is not your cup of tea, then a relaxed necklace studded with diamonds or pearls can make your look very attractive. For net lehengas, stone necklace is a best choice to choose. For brocade lehengas, a simple gold necklace or kundan necklace is enough. However, if you like to show your lehenga in a stylish way, then you need a fancy designer necklace to create that impact. A sleek long necklace is a great option to try with indo-western lehengas. Most of the fusion lehengas comes with shirt style blouse; in that case, a long necklace will add a new dimension to your look. Generally speaking, a long necklace is a must wear when your lehenga blouse have high neck or collar neck. It might surprise many even to hear this. Sometimes, you can skip all the rest of the classic pieces like bangles, earring, and necklace and finish your majestic lehenga with a bold tikka in head. This head gear is one of the fancy items to flaunt with any lehenga. 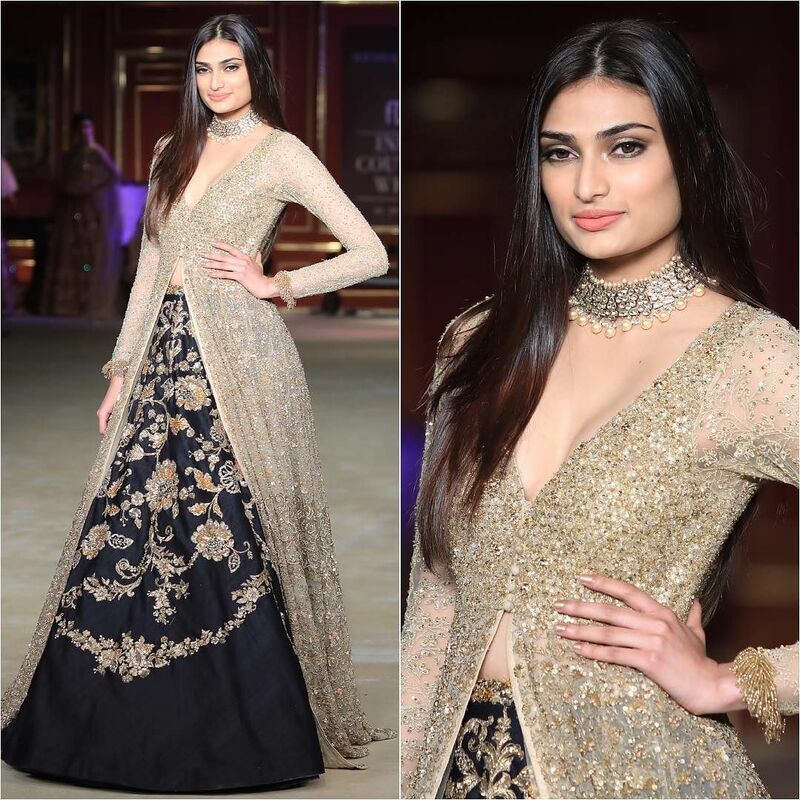 Right now, kundan studded bold maang tikkas remains everyone’s first choice to try with lehenga. If you like to infuse a fusion style to your lehenga, then a modern hand cuff is all you need to hit your goal. They are highly trendy and sophisticated to begin with. Thus it’s an apt choice for lehengas which has cape neck or off shoulder blouses. Needless to mention that, if your lehenga has full sleeve blouse, please don’t attempt to wear a hand cuff as it will look awkward. This is often overlooked in many outfits. However, if you know how to play with this accessory, it can remain a center of attraction. Bold rings studded with kundans or colorful stones will strike a chord to your outfit. Ok, let’s say you have the perfect lehenga ensemble for you D-day, have all the right jewellery in line to compliment it, but your style is not complete as you think till you find the right foot wear to ground your look. 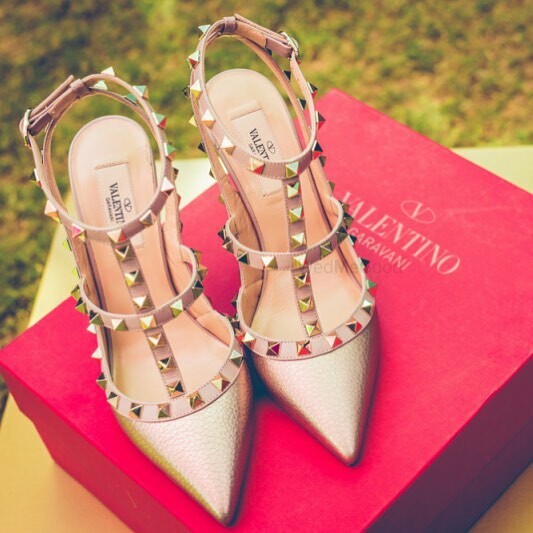 Get a glamorous pair of hot metallic pumps or shoes to give the final oomph to your lehenga. 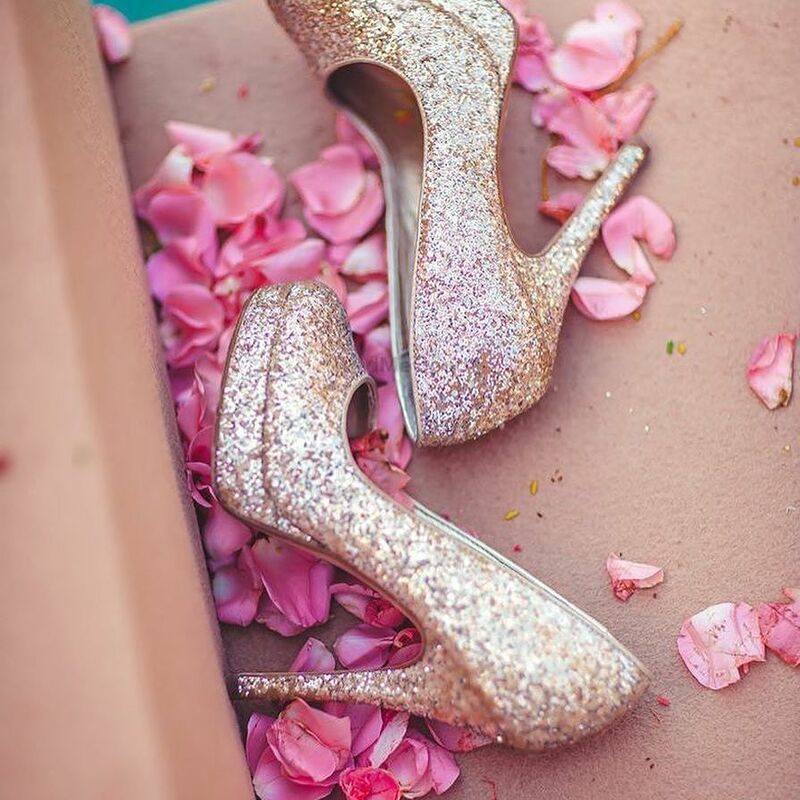 Ideally glittery gold pumps should be your first option as they are voguish to any lehenga. However, if you like to play safe and seek comfort over glamour, then you can opt for embellished jooties that matches your outfit hue. 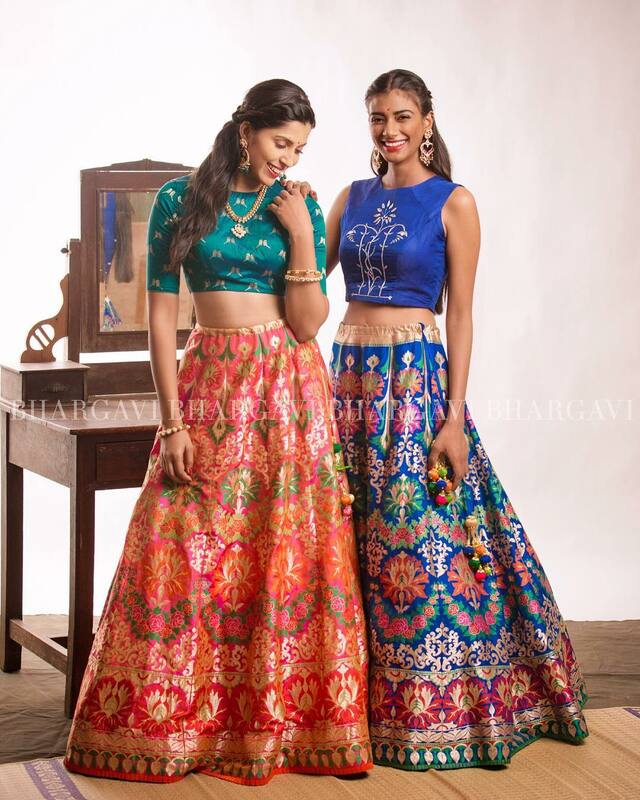 Now, almost everything is set to complete your lehenga style. But what will you do to keep your girlish things that are must-have during the parties? It could be that favorite lipstick or safety pin or event that tiny bottle of fragrance! Get them on board with a chicest purse or potli bag of your choice and conquer the day! When you take utmost care in selecting all the accessories to look impeccable, don’t forget to drape your duppatta in the most graceful way. This will add such a charm to your overall look. There are many ways to style your duppatta. Choose the one that suits you and make a splash with it. 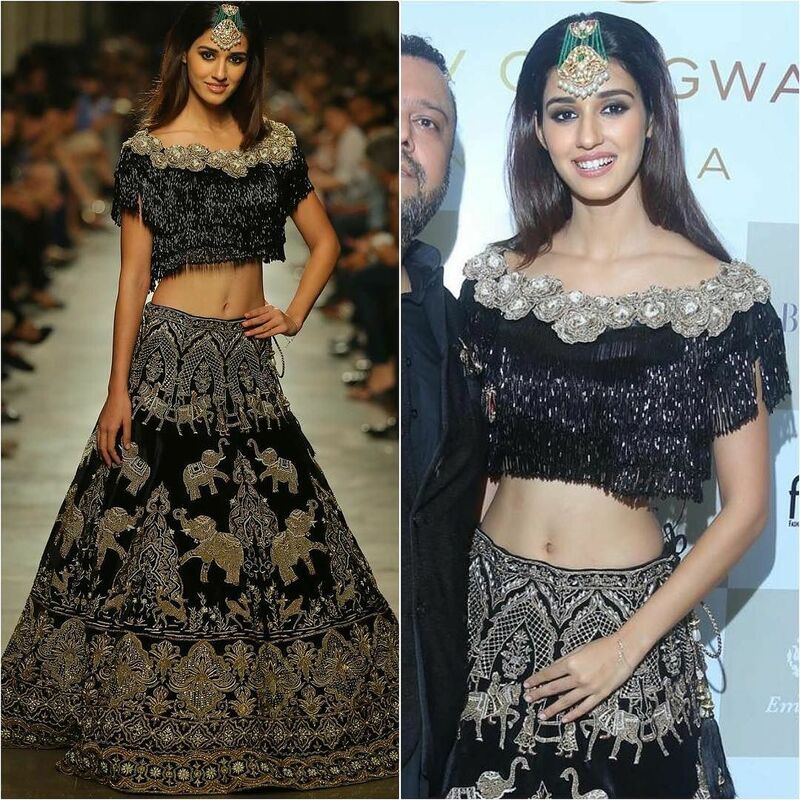 We have so far seen all the nice accessory options you should consider to get your lehenga style regal. However, the hitch though, you need to exactly know how to put together all these and create an alluring final style. Read ahead, to resolve this issue. 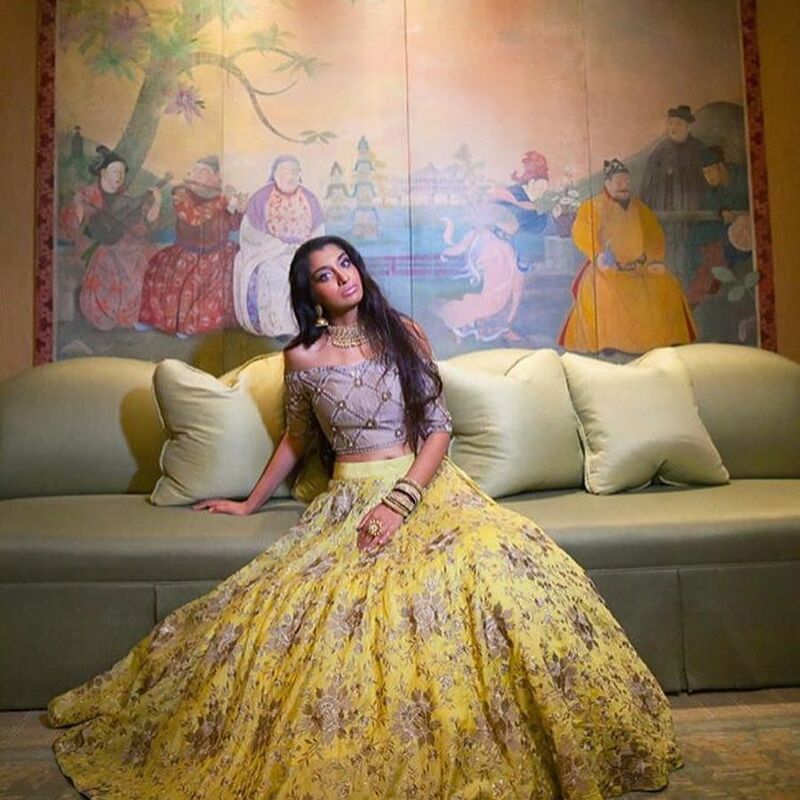 How to Style Your Lehenga With Accessories, Shoes & Bags? Always wear either one of two bold accessories. Don’t by any chance overcrowd your look. 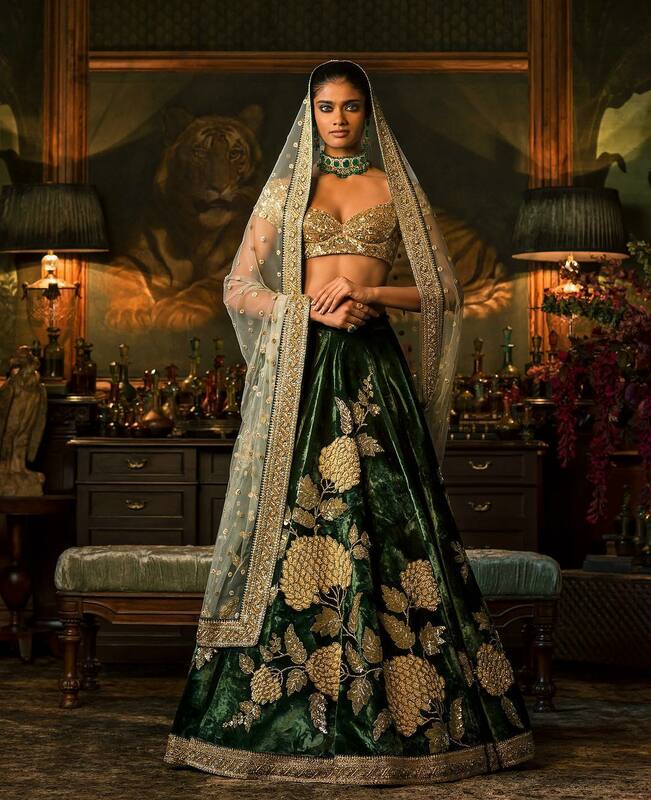 Lehenga itself a grand thing to wear, on top of that, if you deck up heavy jewellery, chances are it might get too much. So restrict your bold pieces to one or two. Either it could be earring or bangles, or choker and purse..etc. We hope you got the gist. If you lehenga is already embellished heavily, then play safe and skip jewellery altogether. If you need, you can choose delicate pieces and avoid bold statement jewellery. 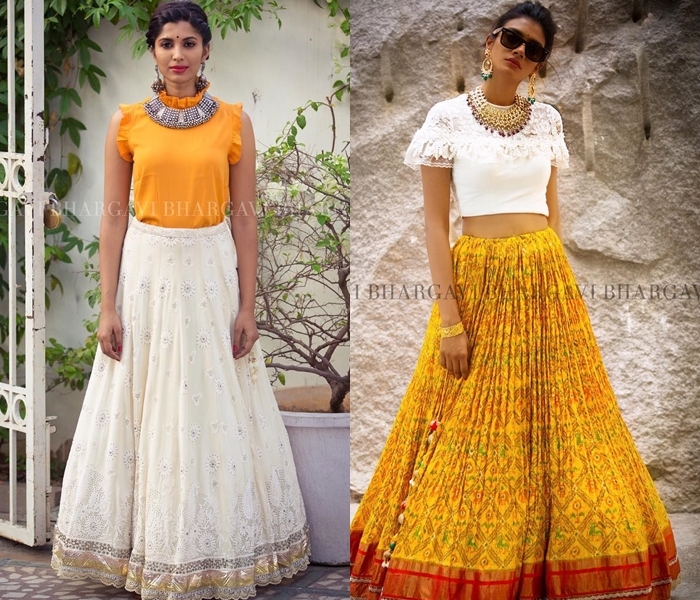 If you are looking for a trendy lehenga style, your accessories should speak for it. You should avoid traditional jewellery and bags altogether. Opt for modern voguish pieces and you will see the entire outfit in new light. Choosing your lehenga accessories should be a cake walk if you know what the options are, and what will suit you. Once you understand both, it is all about coordinating everything. We hope we have given you all the needed inspirations to nail your lehenga with the right accessories. Now it’s time to tell us, what is the single most accessory that you can’t skip on your lehenga dress? Drop your comment and do let us know. We are waiting! 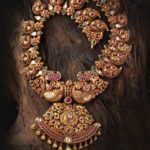 A Guide To Pick Latest Gold Jewellery Designs For Weddings! 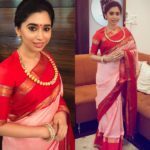 Next articleThis Celebrity Nailed The Retro Look With Simple White Saree!